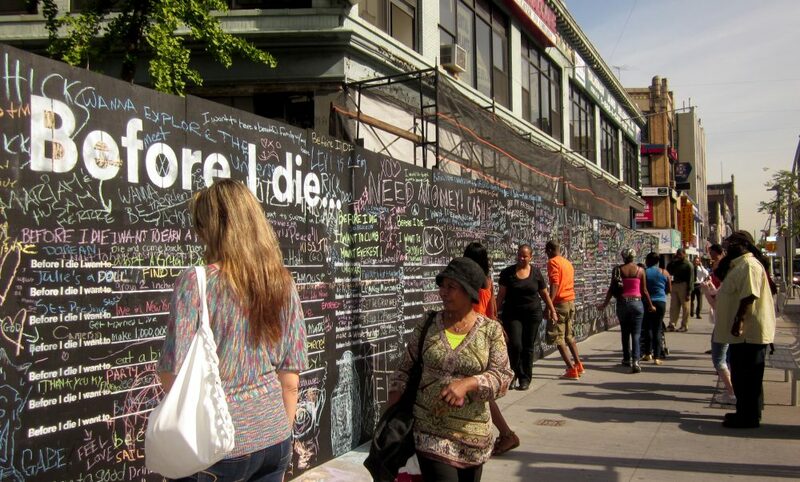 Drawing upon Michel de Montaigne’s proposition that “to philosophize is to learn to die,” the Before I Die project examines the ways the walls of our cities can help us grapple with death and meaning as a community today. After the death of someone she loved, Candy Chang went through a long period of grief and depression. 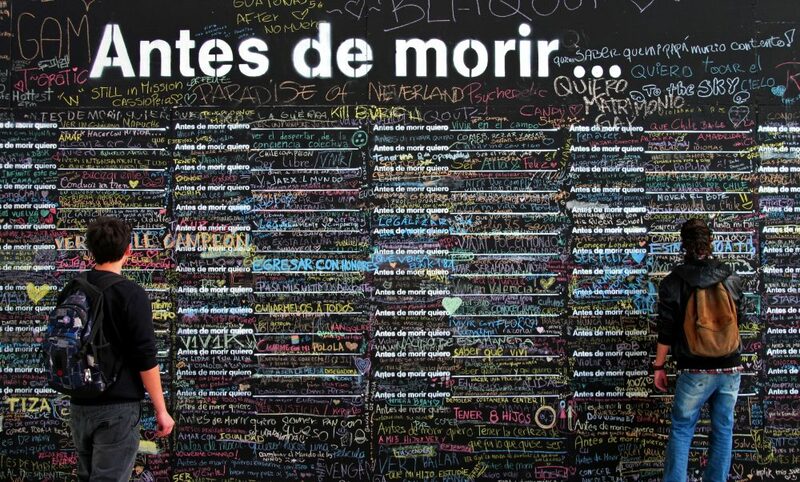 Her inner world didn’t feel like it belonged outside at all, and she realized how much we avoid discussion of death. 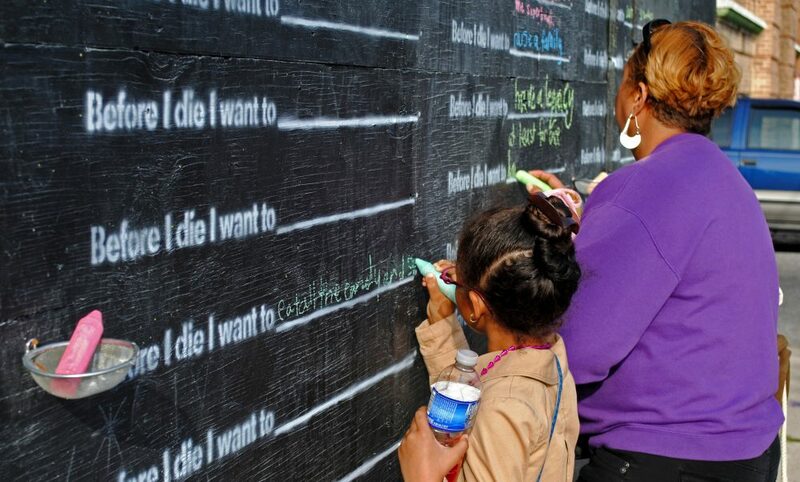 She wanted to start a conversation, so she covered a crumbling house in her neighborhood in New Orleans with chalkboard paint and stenciled it with the prompt, “Before I die I want to _____,” so anyone walking by could pick up a piece of chalk, reflect on death and life, and share their personal aspirations in public. 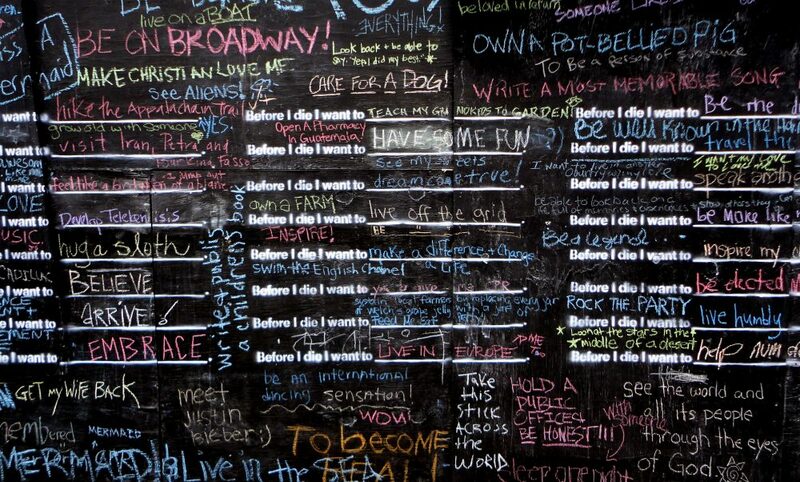 By the next day, the wall was entirely filled out and it kept growing: Before I die I want to… see my daughter graduate, sing for millions, abandon all insecurities, get my wife back, eat all the carbs I want, be someone’s cavalry, straddle the International Date Line, tell my mother I love her, see the leaves change many times, love recklessly again, make a livable wage, have a student come back and tell me it mattered, live off the grid, follow my childhood dream, be completely myself. She understood her neighbors in new and enlightening ways, and she remembered that she is not alone as she tries to make sense of her life. 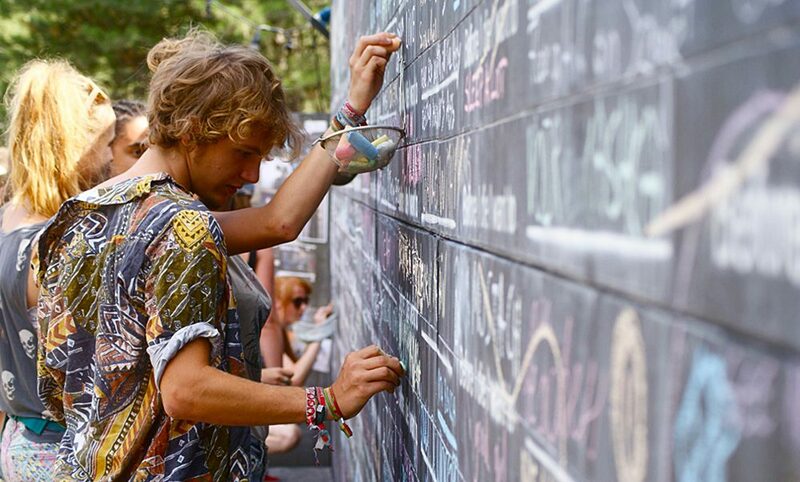 The Atlantic called it, “one of the most creative community projects ever,” and thanks to passionate people around the world, over 4,000 Before I Die walls have now been created in over 70 countries, including Iraq, China, Brazil, Kazakhstan, and South Africa. 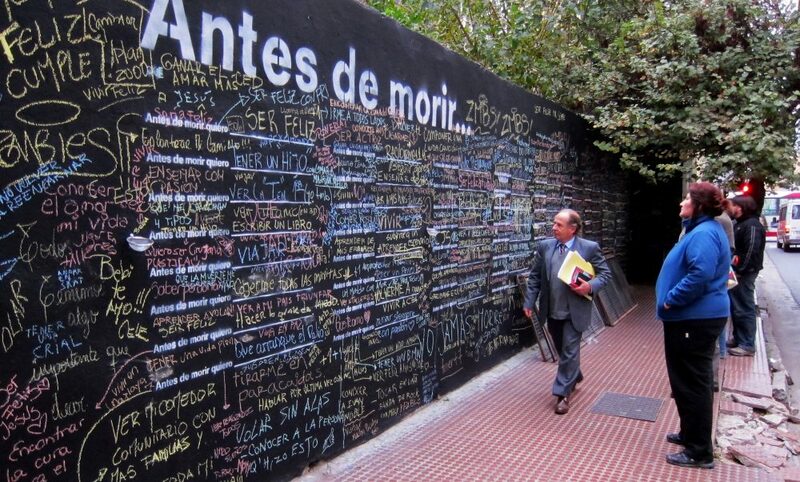 These participatory installations serve as a memento mori for individuals to reflect upon their mortality with neighbors and passersby. 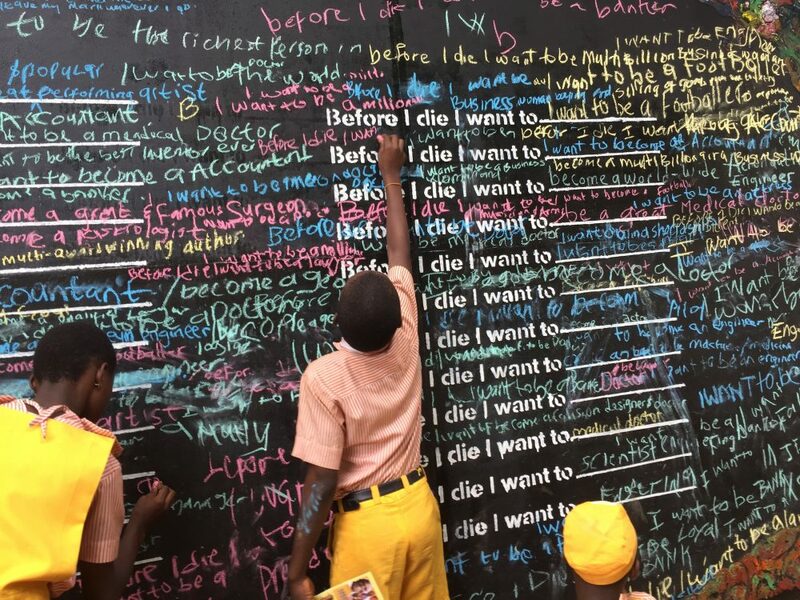 Each response represents an individual’s unique desires and values, and each wall offers a snapshot of our shared anxieties and hopes, our collective joys and struggles. 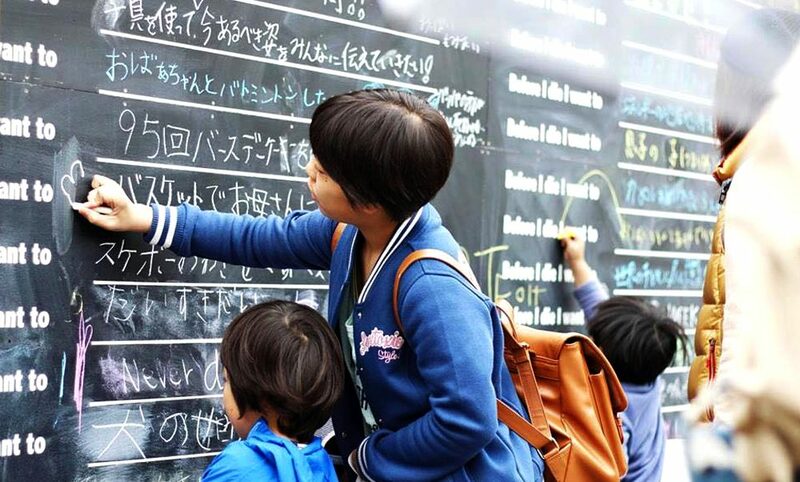 The project has also inspired dozens of remixes that offer new ways to engage with the people around us. 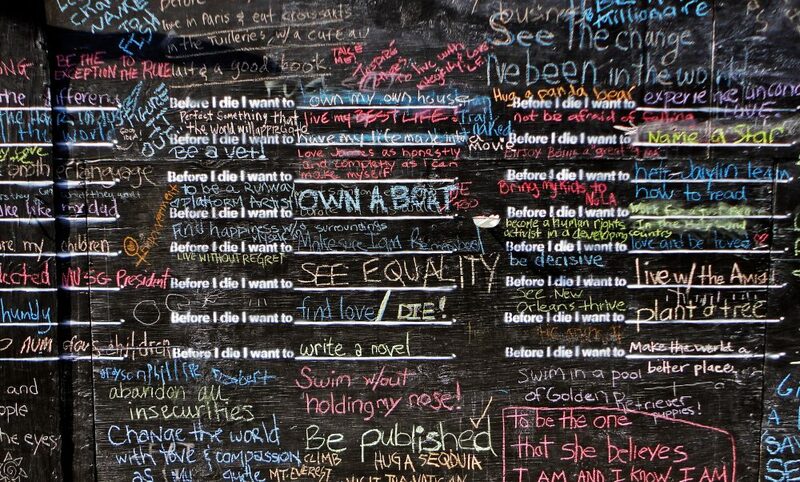 The Before I Die book is a celebration of these walls and the stories behind them. 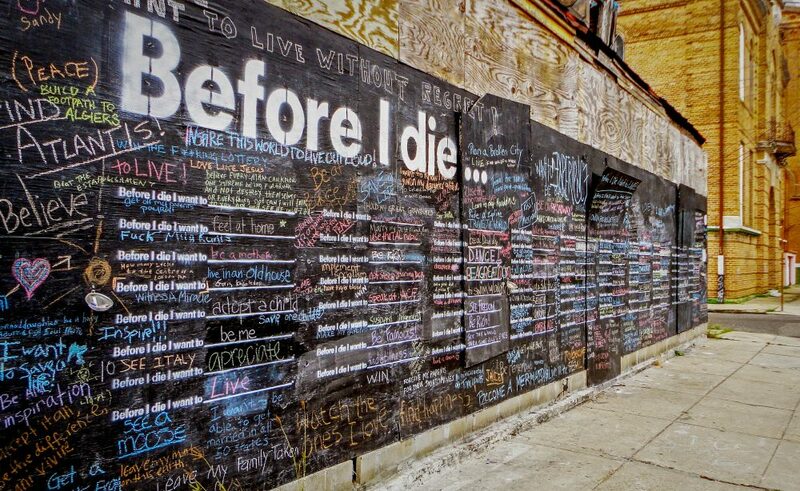 See more, including hundreds of global responses, on the Before I Die Poject website. 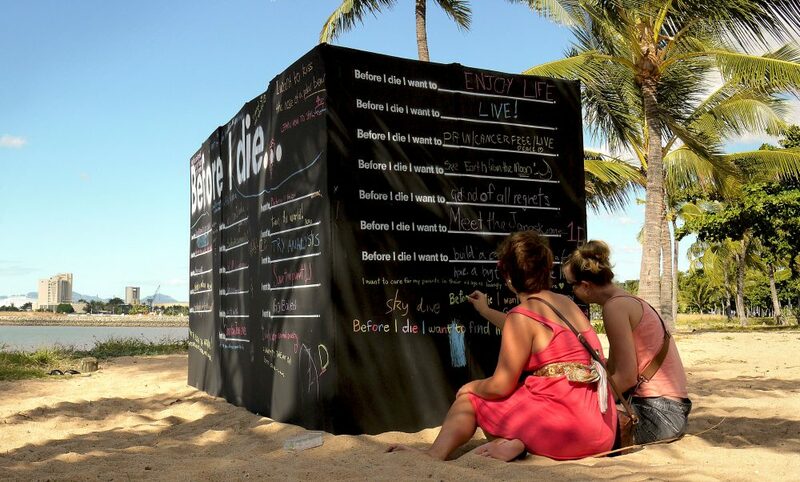 By creating spaces where we can share our inner lives in public, Before I Die reimagines the ways we remember what really matters in an age of increasing distraction and flux. 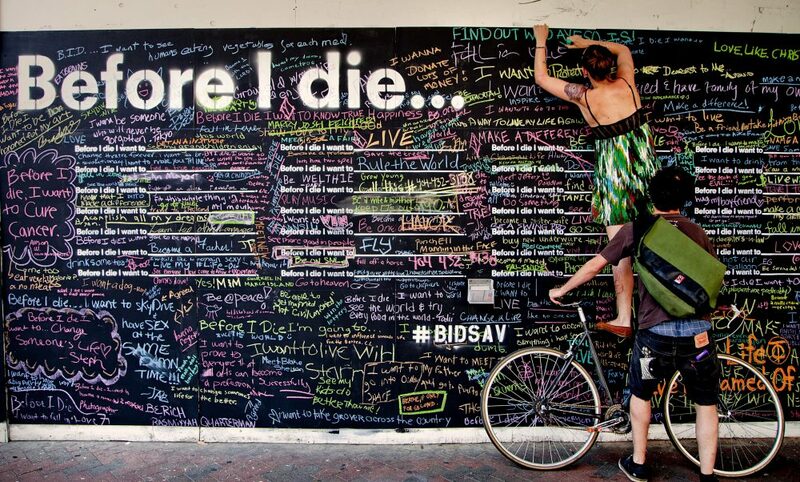 2011, New Orleans, LA. 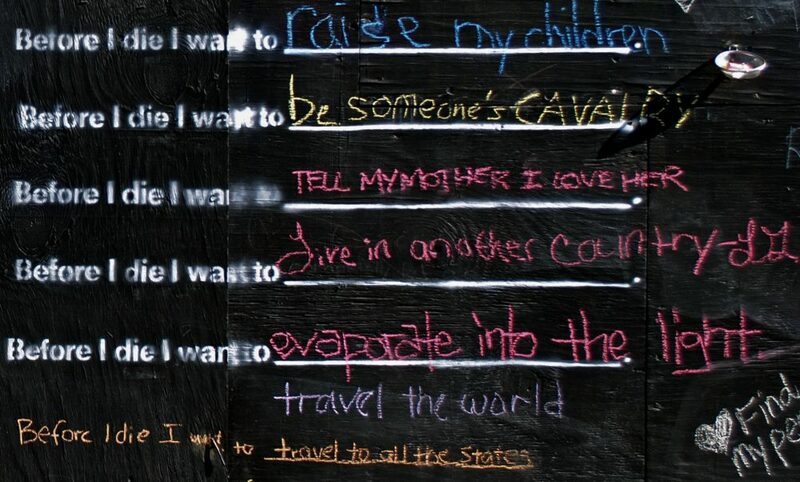 Chalkboard paint, spray paint, chalk, abandoned house. 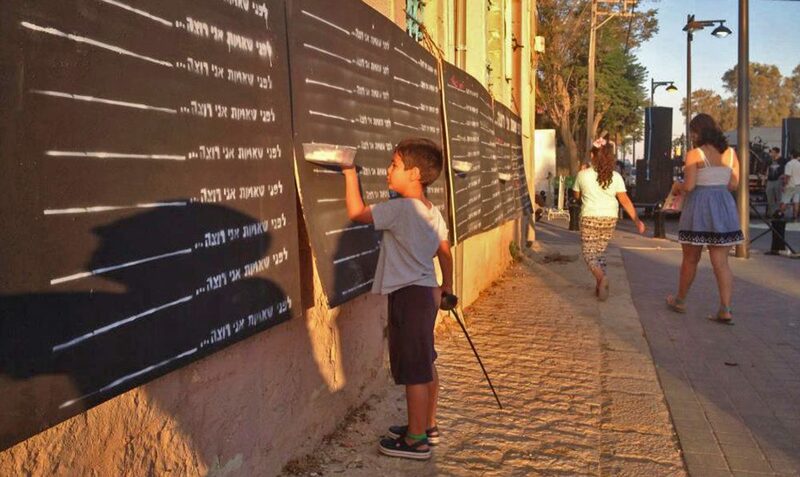 41′ x 8′. 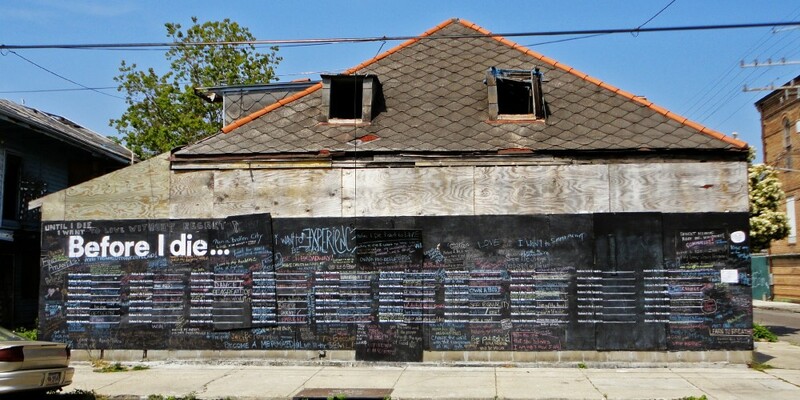 With permission from the property owner, residents of the block, the neighborhood association’s blight committee, the Historic District Landmarks Commission, the Arts Council of New Orleans, and the City Planning Commission. Installation assistance by Kristina Kassem, Cory Klemmer, Anamaria Vizcaino, James Reeves, Alan Williams, Alex Vialou, Earl Carlson, and Gary Hustwit. Lagos. Nigeria. 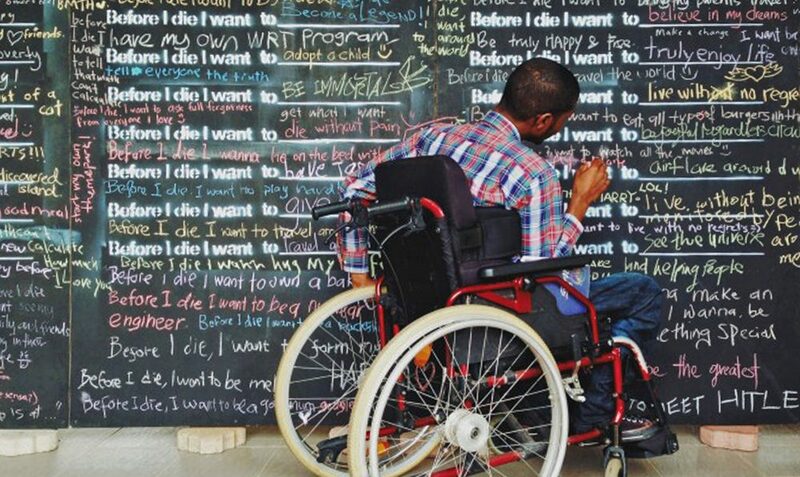 Photo by Dara Olayebi. 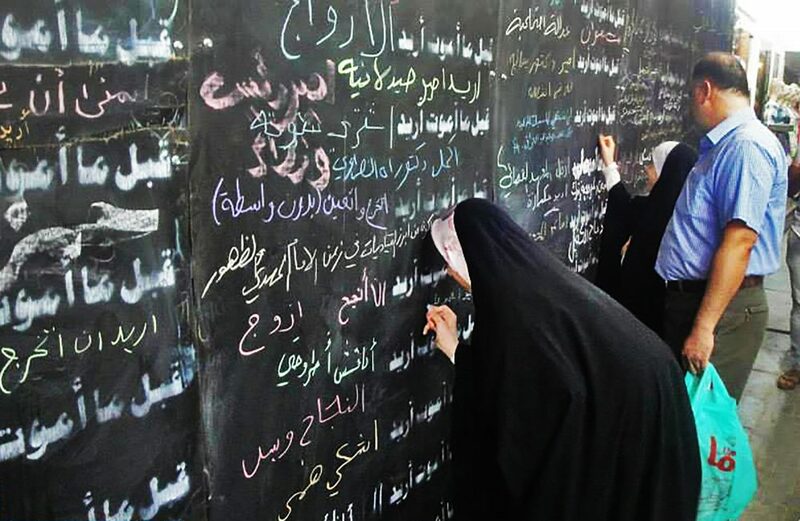 Najaf, Iraq. Photo by Ahmed Alameri. Brooklyn, NY, USA. Photo by Shake Shack. Townsville, Australia. Photo by Kim Kamo. Cordoba, Argentina. Photo by Jenny Carden. Savannah, GA, USA. Photo by Trevor Coe. Perm, Russia. Photo by Perm Artillery Museum. 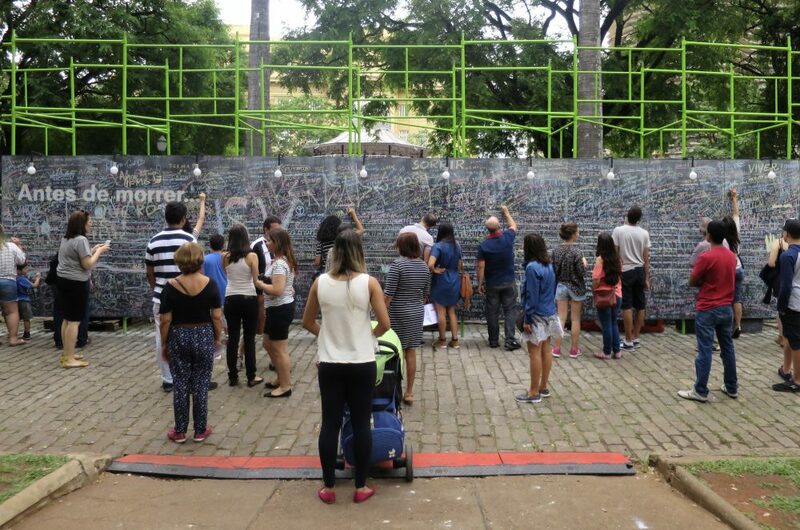 Belo Horizonte, Brazil. Photo by Candy Chang.